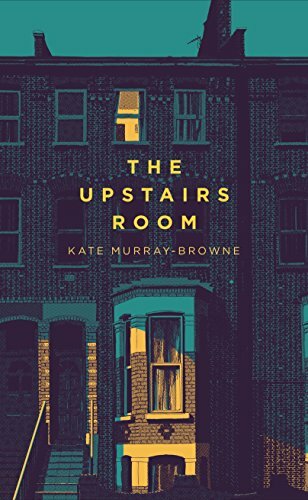 The Upstairs Room by Kate Murray-Browne opens with all the hallmarks - dare I say clichés - of a haunted house story. A couple is shown around a suspiciously cheap but clearly abandoned property, described in terms that hint it has a life of its own. It has a 'central nervous system'; its bay window is a 'membrane'. Opening the third floor bedroom, they find the name 'Emily' scribbled repeatedly over every inch of the walls. So far, the stuff of a million ghost stories. Richard and Eleanor, a middle-class couple with two small children, buy the house in London Fields with the intention of saving to renovate it, and take in a lodger, Zoe, who occupies two rooms in the basement. Eleanor immediately feels unsettled by the house and is afflicted by a debilitating nausea that dissipates when she goes outside. Formerly cheerful toddler Rosie starts to bite her mother and screams when collected from nursery. Richard, supposedly studying for a part-time Masters degree, spends hour upon hour planning home improvements that never materialise and finds himself obsessed with intruding into Zoe's space when she isn't there, staring at her discarded tights and crumpled tissues. Zoe herself, directionless and confused after leaving her job and a long-term relationship, can't feel comfortable in her basement room, and while she puts this down to being a lodger in someone else's home, she too can't stop thinking about the mysterious writing on the bedroom walls upstairs. Again, this could all be part of a conventional ghost story - but this is really something a little more unusual. It's not only a ghost story but also part extended character study, part relationship drama, part satire on the sheer difficulty of finding affordable accommodation in London. As the characters feel increasingly oppressed by the house, we learn that they're also oppressed by their own unspoken resentments and past disappointments. Richard and Eleanor's relationship, which began when they were students, feels curiously loveless - Richard has never thought Eleanor to be beautiful or exciting and Eleanor was on the verge of leaving him when he proposed. Zoe has left her well-paid job and her well-paid boyfriend to pursue artistic endeavours, but a passionate relationship with a young sculptor turns out to be not quite what she thought it would be and she feels constantly awkward living in Richard and Eleanor's house. Richard and Eleanor are haunted almost as much by Zoe as they are by the less tangible presence in the house, and vice versa. Moreover, there's a strong sense of claustrophobia in this book which stems not just from the sinister goings-on in the house but also from London property prices, which have effectively robbed the characters of ordinary choices over their living arrangements. If you're looking for big revelations from the horror element, you won't find them and this is ultimately a little frustrating. This book seems to position itself more as literary fiction than ghost story, but in my view it's perfectly possible for a book to be both and I don't believe that the literary bent of The Upstairs Room should let it off the hook in terms of its ghost story plot. I'm all for ambiguity but it's possible to retain some ambiguity while still bringing a story to a satisfying end - one of my favourite literary ghost stories is Sarah Waters' The Little Stranger, or instance, which does this perfectly. If you're going to borrow heavily from a genre, show that genre the respect it deserves. That said, this is a cleverly written and at times, genuinely chilling novel with characters that are very well fleshed out, and Kate Murray-Browne is remarkably adept at picking out the tiny details of appearance, speech and behaviour that can reveal so much about a person - every character in this book felt real and recognisable to me, and the house itself is as much a character as its inhabitants. There's an unnerving plausibility about this story, despite its supernatural elements and apart from the lack of resolution, I found this a compelling and well-crafted read.